Viviane Vendrell, is a highly skilled and energetic transactional attorney with over 25 years of experience in international commercial transactions, mergers and acquisitions and corporate work involving Mexico, with a strong emphasis on real estate acquisitions, financing and related matters, particularly resorts, hotels and recreational projects. Viviane is a graduate of Mexico’s most reputable law school, the Escuela Libre de Derecho in Mexico City. She practiced in Mexico City for 15 years before she moved to the United States in 2006 as in-house chief counsel for a U.S./Canadian company doing business in Mexico. 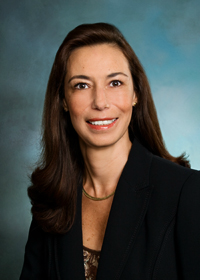 Her experience includes American Lawyer Top 100 law firms in Mexico and in the United States, such as acting as a certified foreign legal consultant with Greenberg Traurig, LLP and as a partner with Holland & Knight in Mexico City and Jáuregui, Navarrete y Nader, the Mexican correspondent of the then Mayer, Brown and Platt. Viviane has advised top-rated U.S. and Mexican real estate developers, resorts, hotel companies, individuals, investment funds, financial services entities, banks, exporters/importers, manufacturers and a wide variety of investors in their Mexican and cross-border transactions, always with a deep commitment to quality and service. Pioneered the study and implementation in Mexico of structures for fractional ownership products. Designed, documented and implemented what at the time was the largest master condominium project in Baja California Sur. Negotiated and documented on behalf of a U.S./Canadian investor one of the most important land sale, option and development agreements with a government-controlled entity, covering approximately 8,000 acres of land. Successfully represented major international hotel companies and developers in multi-million dollar acquisitions of hotels throughout Mexico, including Mexico City and the main tourism destinations. Designed and documented the foundational Mexican investment and joint venture structure for a prime U.S. based real estate private equity fund, which to this date has yielded dozens of transactions amounting to hundreds of millions of dollars and has been replicated by other investments funds.